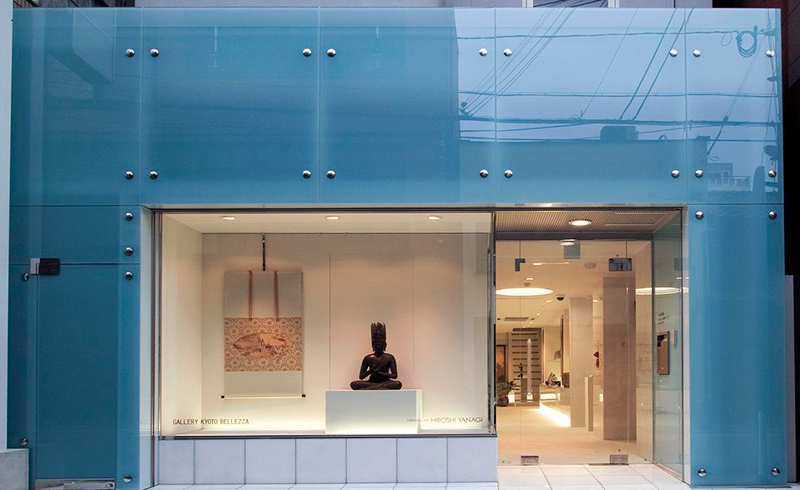 You will recognize our building by its characteristic facade that is dominated by large blue glass panels.In our gallery space, we exhibit a wide selection of artworks covering the entire scope of Japanese art. Objects include Buddhist and Shintō sculptures, masks of the Nō theater,screens,hanging scrolls,and ceramics. 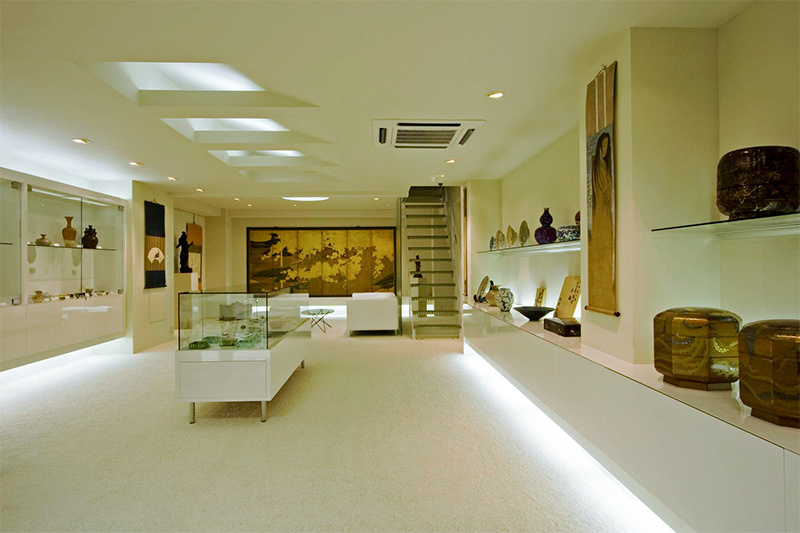 We would be delighted to help you find just the right piece for you. For twelve years,we ran art business in the United Kingdom and are fortunate to count many overseas cliants among our customers. Of course, we will be happy to arrange overseas shipping for you. Also,please do not hesitate to contact us in English. Please drop by our gallery anytime. We look forward to your visit!